Things change. Seasons turn. The old makes way for the new. This is the way of things. It’s exciting. It’s sad. It’s inescapable. It’s life. Not too many years ago, my mother passed away. It was at the end of a long illness, but that still didn’t make the end any less abrupt or welcome. She died and I grieved. Several years after that, I had kids of my own, kids my Mom never got to see, coo over, spoil, comment on how big they’d grown, or laugh at when they did to me what I had done to her. I wish for that. I’m sad about not being able to share that with her. I miss her. I don’t know the Weisfelds, and I don’t presume to know their grief at the recent passing of Sheila Weisfeld. I can only imagine what that loss must mean, and honestly, that’s as it should be. But it does make me smile, a bit wistfully, at the memorial they have made for their loved one. Named for Sheila’s love of travel, this little sucker has been all over the U.S. The lead up to the T.H.E. Show at Newport this year featured a series of “traveling gnome” photos, with the newest VPI ‘table sipping fruity drinks at the pool, smuggling itself in luggage, and generally having a grand time of things. It was cute. It was funny. It’s only fitting to note that a portion of all Travelers sold will go towards the fight against Pancreatic Cancer and to support the Girl Scouts of America. 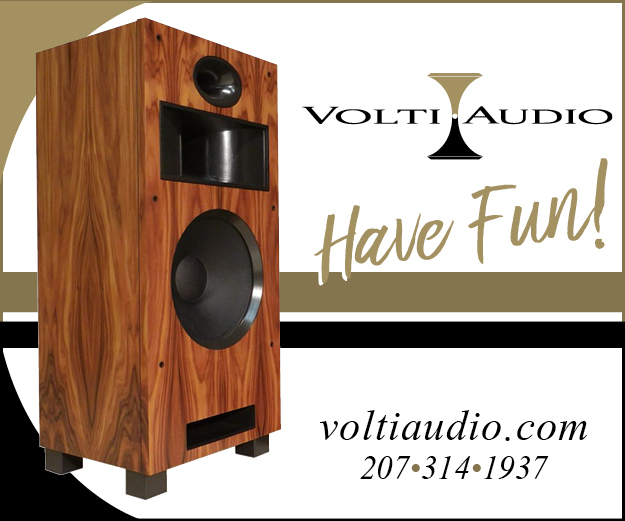 At Capital Audiofest, Harry and son Mat Weisfeld brought a foursome of the new ‘tables for display, sporting some festive red, white and blue plinths in honor of the 4th of July holiday. Mat couldn’t wait to show them off — he grabbed me in the hall and dragged me in to take some pics of them. Apparently, all the other vendors were out of the room, so he and his Dad were (finally?) playing some of their own music. Anyway, he very carefully pointed out the Thises and the Thats, but when he picked up the Traveler to show off the custom job, he made his Dad come over. That’s the pic, above. I’m absurdly happy with that shot — it’s my favorite from the show! I think the flag on the under-plinth is a nice touch, but before you get excited, I don’t think it’s going to be a standard option. Perhaps you could ask them to slap that on the top of the plinth? I’ll post any custom paint jobs the VPI boys crank out! Just send ’em on. In the system at the front of the room, I found a Lyra Delos cartridge mounted on the svelte Traveler. More on this in a second, but let’s skip over to the big ‘table. The big ‘table was a new $10,000 VPI Classic 4. This is another evolution of the wildly successful Classic turntable. The 4 is big, by comparison — big enough to comfortably mount a pair of tonearms. That is,big enough for the pair of tonearms that it actually comes with. Ahem. Yes! It actually comes with two tonearms — all you need are cartridges and interconnects. Here at CAF, Harry had a Lyra Kleos and a Soundsmith Sussuro to play with on the two arms, and happily swapped between them. Honestly, this two-arm thing never really made much sense to me. But watching him go from one to the other, swapping out sounds, well, that was just cool. My phono preamp does have support for 2 more tonearms … hmm. While preparing for the New York Audio & AV Show, VPI had too many cartridges to choose from! The best idea was to bring a Classic 3 with two arms. However, the Classic 3 did not have enough space to professional place 2 arms on the table. Therefore, VPI took the design of the Classic 3, made it a little larger, and added an HR-X 12.7 arm as the primary and the Classic 3 arm as the secondary arm for the debuting Classic 4! 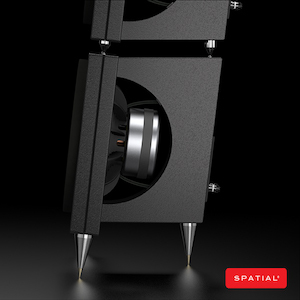 For $10k, you get two tonearms, a metal platter, and a massive constrained-layer plinth. The two included arms make this sucker a steal, if I must be frank. And did I mention that the thing looks and feels like a tank? “Robust” is the word I wrote down in my little book. The Traveler looks trimly athletic by comparison. Let’s move over to some of the new-to-me elements in the room, and start with the speakers. 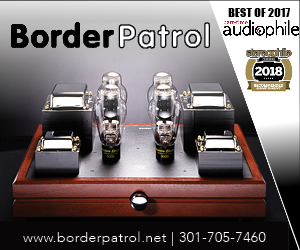 Ralph Hellmer’s Surreal Sound Audio operates out of Virginia and they make loudspeakers. Pretty nifty ones, actually, and the latest thinking was here on display. The Fifth Row, $19,900 when finished in Baltic Birch, but shown here in a $27,500 MDF cabinet in a lustrous and finger-print loving piano-black. Ralph says the choice is entirely cosmetic — either cabinet is inert. The Fifth Row is 95dB, which is middling-high — think push-pull rather than SET — 8ohm, and Ralph claims an even bass response down to 25Hz. I believe that last bit. More on this in a second. There are two cabinets, both constructed of CNC-cut Baltic Birch or MDF pieces that are stacked and glued and finished. The top cabinet is a hybrid enclosure that took five years to perfect, but the result is a part cardioid/part transmission line, that’s designed to eliminate any and all distorting reflections from coming back into the 8″, full range, Tang Band W8-1772 main driver. 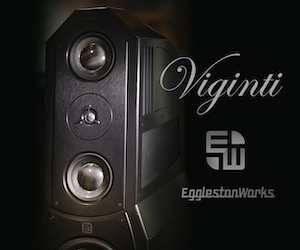 This driver sports an underhung voice coil for extremely linear performance, and is used only from 125Hz and up. The bottom portion of the cabinet is “pure slot-loaded di-pole bass with an attitude”. 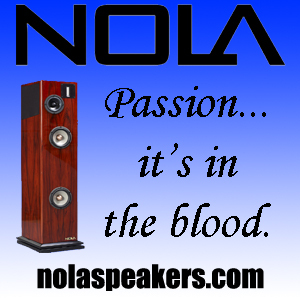 Featuring an even dozen 10″ woofers, six per speaker, all mounted vertically in a push-pull configuration. These drivers have 17g of moving mass each. Ka-pow. The bass modules are powered by an external amp, included in the price, which puts out something north of 700wpc. A low-pass filter is built into the amps, but this does mean that the speakers will be bi-wired. See that nickel? Nice finish! Luminous Audio of Richmond, Virginia, supplied all of the cables for the room. 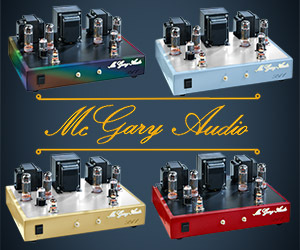 The beefy Synchestra Signature speaker cables run about $700/pair. 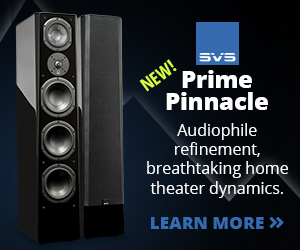 The matching Synchestra Signature interconnects are $499/1m pair. 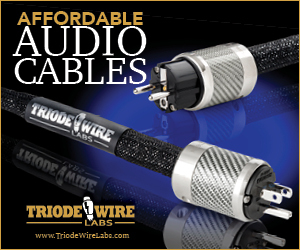 The Synchestra cable line features ONO copper with six-9s purity and Eichmann Bullet Plugs on the interconnects. Of special interest to me was the Axiom II. This tiny unit is an entirely passive preamp — no power, no gain, no distortion. Pricing starts at $195. 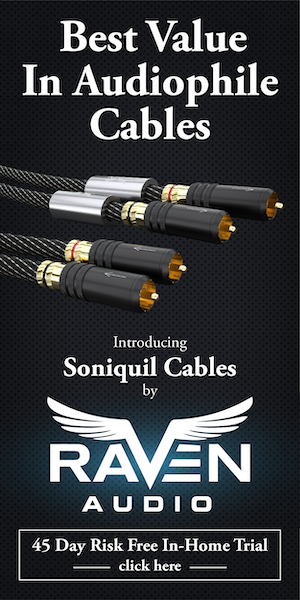 There are options for XLR vs RCA, or multiple inputs. The only “option”, per se, is whether or not you’d prefer to use Caddock resistors — this is $50 extra. There is an upgraded version, however, the “Walker Mod” version, which costs $399. The Walker Mod uses a stepped attenuator, top-shelf Luminous Audio ONO wire and a matched set of Vampire pure copper CM-2F connectors. This is the model that is supposed to be showing up chez moi at some point in the hopefully not-too-distant future. As to why this is of particular interest, well, that’s a long story. The short of it is this — preamps are problematic. Some would argue that the best that a preamp can hope for is invisibility, but the unfortunately truth is that many of them fall far short and end up occluding the signal. Obviously, this is suboptimal. Which is why a purely passive device, with nothing but a high-quality attenuator in it, might be an ideal device for a reviewer. Okay, moving on down the stack here. 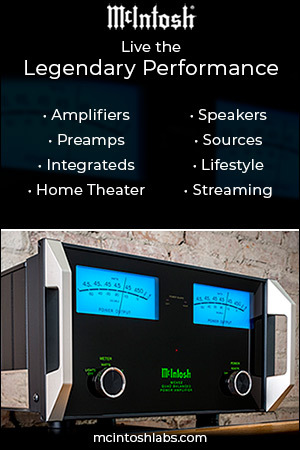 Next, we have the debut of the all-new Phono II from Dynamic Sounds Associates. Currently offered at a special introductory price of $11,000 through end of year, there’ll be a modest bump to about $12,000 when the unit hits its full production run. Building on the success and popularity of the Phono One, the Phono II adds significant functionality — as in support for two additional tonearms, bringing the total up to three, all for a modest 10% increase in its base price. Oh, sorry, yes, I said three tonearms. Yeah! Scha-wing! Design every gain stage to be “stand-alone” having very low distortion; very high dynamic range; and bandwidths orders of magnitude greater than the audio band. Use specifically selected JFETs and MOSFETs and expensive, tightly matched pairs of devices. Employ highly regulated high voltage DC rails combined with separate voltage regulators and constant current sources for every gain stage. Use no global or loop feedback. Only use passive low pass filters, when required, located between individual gain stages for frequency compensation. 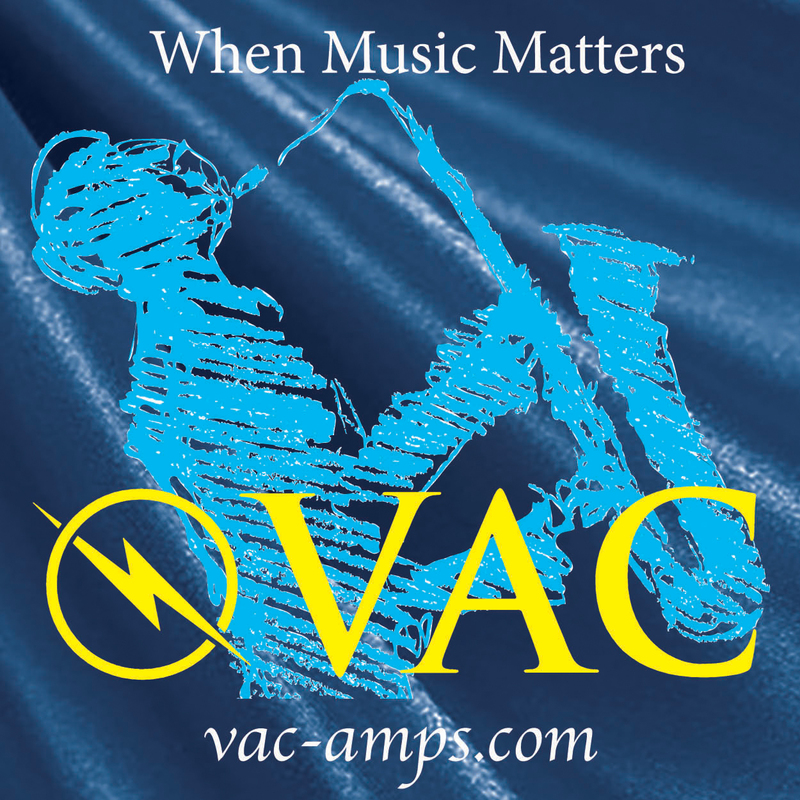 Avoid coupling capacitors in the audio chain. Utilize separate, low impedance, output driver stages. Employ great care in the layout in the components and traces on all of the printed circuit boards used in our designs. Sonically, I’m told that the two phono stages are indistinguishable — by design — which allows for a seamless transition to the new model and casework aesthetic. The Phono II is the only unit now being offered, but current users of the Phono One ought to be content for the foreseeable future. Yours truly, having never had the pleasure of a Phono One in-house, is not content, and instead is actively scheming to bring a Phono II in for review. Interestingly, we will soon see some more product announcements from DSA, including a line stage preamplifier in 2013, and a 120wpc Class A amplifier the following year, both of which are currently in prototype. Last, but surely not least, are the anchors in the system, both from David Berning. Berning gear is legendary. Okay, it is to me. First, the level of fitment is top shelf. Chunky knobs, toggle switches, metal everywhere, mmm hmm. I first heard about Berning when I was a Merlin owner, with my first pair of VSM-MMe speakers and it was Paul Rosenthal who encouraged me to check out a OTL amplifiers. I eventually went with Joule-Electra and was floored by the OTL-sound of the big 6C33 tubes. To this day, my experiences with the Marquis amplifiers have been unmatched, though they weren’t without their particular, unique challenges, and ultimately I felt that I had to move on. History is one of those things we love to tinker with, though, so if I were to have had a do-over knowing then what I do now, Berning would have been the choice. So, let me confess a couple of biases. One, I love tubes. They’re neat and they do sound different in ways that I particularly enjoy. Two, I hate tubes. They’re either breaking in or breaking down, and it seems like a ludicrously expensive way to keep reinvesting in gear you’ve already bought. These two things tend to balance for me, but what tips the equation over against tubes is pretty simple — it’s heat. 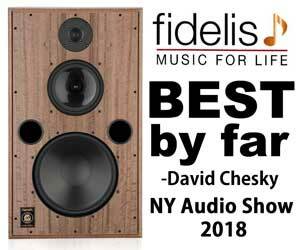 I don’t think I’m ever going to buy another pair of monoblocks that, together, can lift the ambient temperature of an entire 800+ square foot basement a full 20° after a couple of hours of playback. Been there, done that, melted the t-shirt. The ZOTL Pre One is a lightweight, comprehensively equipped, single-box unit with retro styling hints and some unusually shaped knobs. It has 5 inputs, one of which can be equipped with a phono option. There is a processing loop selector, a switch to invert phase, a mono switch and not only a 24-step main output level control but also separate attenuators for each channel. There is no remote control. The unit can be powered either by mains or a 12V battery supply, selected by a front panel switch. 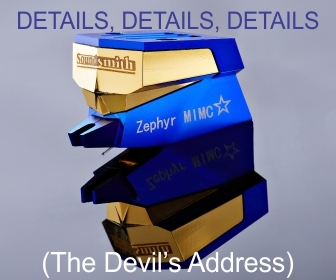 There is also an unusual but nevertheless welcome rear-mounted 1/4 inch headphone socket of notable quality making the ZOTL Pre One just about the best headphone amplifier I have heard…. … The ZH-230 ZOTL power amplifier is a stereo chassis 30 watt per channel design in an unadorned case of almost the same size as the preamplifier. 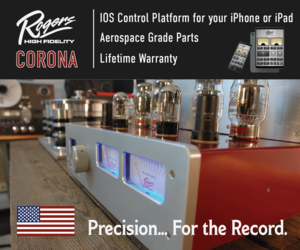 Speaker connections are 2 sets of Cardas gold-plated connectors accepting both spade and 4mm plugs and preamp connection is by RCA phono … The tube complement is 4 x 33JV6 for power and the unit normally comes equipped with a 2 x12 AX7 input and 2 x 12 AT7 driver tubes. Tube life is suggested as 10,000 hours. 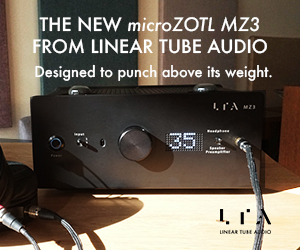 As with the Pre One the tubes are auto biased which means that tube rolling is possible and in certain circumstances quite necessary, as installing different configurations change the amplifier’s feedback and output impedance. Berning provides a table in the manual explaining how to attain the various values. Okay, so that was the gear in this room. By all accounts, this was a tour-de-force, with a ton of different manufacturers, offering their choicest bits, all out to create sound. The result was nothing short of stunning. The question as to what it was that “did it” is probably the first that leaps to mind. I’m sure that every reviewer walking in to that room would identify with some specific collection of gear that particularly influenced the end result, but I’m not sure any of that is fair. Sure, the speakers were fantastic. As shown, Harry Weisfeld had a ball pulling out LPs that could show off the bass response he we so enamored of. With a straight face, he’d turn to the room and say something about “how a drum set would sound in real-life”, drop the needle, and practically start chortling to himself when the entire room jumped at the drum strikes coming off of a Charlie Byrd album. Holy crap! Holy crap! I can’t be sure, but my suspicion is that the percussive blasts were strong enough to shock dust out of the air. Inside the blast radius, innumerable small creatures suddenly and unexpectedly met their end. The hotel’s pernicious bed-bug infestation was completely eradicated. The Rockville S.W.A.T. Team stayed on alert for the next five days. As for me, the spontaneous nosebleed stopped after about an hour, but the ringing in my head that lasted the rest of the week. But of course, that wasn’t just the speaker. There was a Lyra Kleos cartridge at the front of that chain, playing on a big Classic 4 turntable/arm combo from VPI. Translated, boosted and massaged by a DSA Phono II. Into a Berning preamp and into a Berning amp. Over Luminious Audio wire. Pulling power from a $7,500 Silver Circle Audio Pure Power One 5.0SE conditioner (the same as the one in the High Water Sound room — I wrote about it a bit over there). All that together set the room on fire, caused the Extinction Level Event that has puzzled the local scientific community, and made this room one of the most sought-after demos at Capital Audiofest. A couple of closing comments. First, the VPI demo included three tonearms with three cartridges, spread across two separate tables. With the flexibility built into the DSA Phono II, Harry was able to drop three separate needles in relatively quick succession. The Hyperion from Soundsmith? 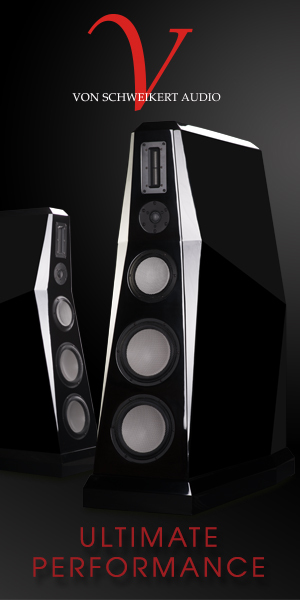 Outstanding sound — very organic and life like. The Lyra Kleos? Detailed and fast. Switching over to the Lyra Delos on the Traveler? Wait — did he switch from table to table? Yes — I heard far more difference between the Kleos and the Hyperion than between the Kleos and the Delos. Even though the two Lyra cartridges were actually on two separate turntables! And given that the Delos sat on a $1,300 turntable/tonearm combo while the Kleos sat on a $10,000 turntable/tonearm combo, well, that tells me something. It tells me that it’s time to go get me a Traveler. Second, I did have a brief opportunity to hear the Luminous Audio Axiom II in the circuit, taking over from the Berning preamp, but it was rather brief. But for a $400 component to “step in” and take over from a $12,300 one is something of statement in and of itself. The fact that the sound quality didn’t notably suffer is another statement. Wish I’d been able to A/B these more to get a better handle on what was going on, but that’s for another time. Last thing — aside from the Lyra cartridges, this entire room was “Made in the USA”. I did have the opportunity to meet Sheila (and Harry) a couple of times, and also spoke with them for some upgrade parts for my (used) HW-19. It was obvious to me that they were some of the nicest people I’ve met in any business, and I’ve always rooted for them and VPI. I was very saddened to hear of Sheila’s passing, and I am grateful that you started this article with such a nice tribute to her and your mom. Thank you. This room sounded fantastic, the aforementioned di-pole bass was seismic! Beautiful sound, I was just looking forward to what Harry would play next. 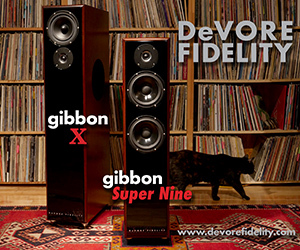 Very transparent, good soundstage, great impact & dynamics, very musical. A very effective collaboration between 5 companies, many local or mid Atlantic, well done by all.